In honor of Valentine’s Day, I’m sure you expected me to post a recipe for a delectable sweet. 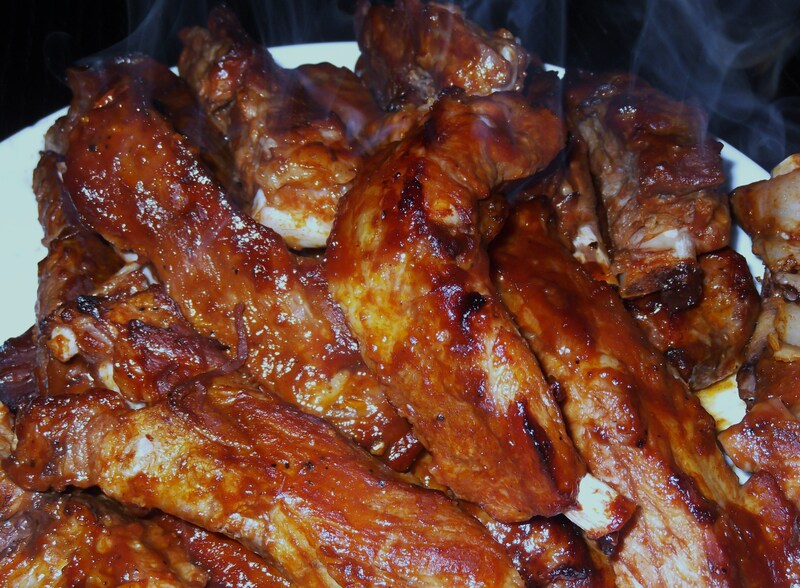 But no, Valentine’s Day is all about treating MY sweetie and therefore, it’s all about Ribs! For those of you coping with winter snow storms, yet dreaming of warmer summer days, this easy technique should do the trick for you too. By simply combining your oven with hickory-smoked wood chips, you can create the BBQ flavors of summer indoors, any time of year. Hope YOUR sweetie enjoys them as much as MINE!